Get quick estimates and bookings for all your property maintenance in just one convenient place. What is the best time to reach you at? Is there anything we should know prior to contacting you? "I was referred to A+ by a friend... they got back to me almost instantly with a quote and were there the next day." "Good workmanship. Thorough. Windows so clean you don't even know that there is glass separating you from the outside." "They were fast, thorough, spotless, prepared, punctual, and super polite. I am so happy with the services provided by A+! " Read some of our 200+ 5-star reviews on HomeStars, and see why our customers love working with us. Whether you are a proud local business owner or the property manager of a multi million dollar skyscraper, our knowledgable and experienced team will ensure your facilities are beautifully kept all season long. We take great care ensuring your happiness at every step of the process, from the first hello to re-booking. 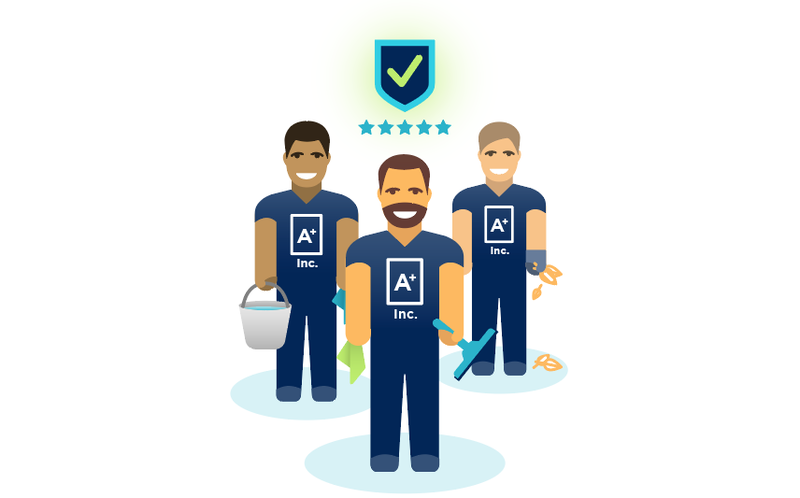 A+ makes caring for your property simple, quick and seamless. Our friendly, young, A+ brand ambassadors meet you face to face to ensure all your needs are met and scheduled. Get personalized attention and care. We'll send you a reminder text message the day before, and a follow up one after the A+ workers are all done. All A+ professionals are insured with WSIB, Fall Protection, Working at Heights Certifications, along with comprehensive $5MM General Liability. Let our PROs handle it! Pay only once you are completely happy with the quality of the services you have received. All of our staff are fully certified with WSIB, Fall Arrest, Working At Height Certifications and $5MM General Liability Insurance. In addition to unmatched customer service, our proprietary software integration allows for easy scheduling and real time communication. The result, is nothing less than A+. Is there anything you'd like us to know prior to contacting you?